MS, SD and IK performed the study. HZ and SM designed the study. RUK, Shakirullah, AT and HR wrote and edited the paper. Zinc, Pectoral muscle, Tibia, Heat stress, Probiotic. Heat stress is major concern of the tropical countries. It adversely affects the muscle metabolism and quality (Khan et al., 2011a; Zia ur Rehman et al., 2017). It is one of the major causes of oxidative damage (Khan et al., 2012). The pH and water holding capacity are considered as important factors during meat storage and processing. The early decline of pH leads to decreased water holding capacity (WHC) of muscle and consequently causes pale coloration (Owens et al., 2000). The muscle fiber thickness and cross sectional area have positive correlation with WHC and tenderness of meat (Berri et al., 2007). The heat stress causes degeneration of muscle proteins; decreases in muscle fiber size and cross sectional area that ultimately decreases muscle mass. High environmental temperature also has negative impact on the tibia (Bartlett and Smith, 2003). Various measures have been practiced to fight the detrimental effect of heat stress in poultry production (Khan et al., 2014; Zia ur Rehman et al., 2017; Chand et al., 2018). Zinc (Zn) is one of such trace minerals that plays key role in reversing the harms of heat stress in poultry (Chand et al., 2014; Khan et al., 2011b; Naz et al., 2016). It has been well documented that probiotics have positive influence on intestinal health of host animal (Khan and Naz, 2013). The individual supplementation of Zn and probiotics have been studied in heat stressed poultry but their combined supplementation has not been studied with special reference to meat quality and histomorphology of muscle. The present study evaluated the effect of Zn and probiotic on histomorphology of muscle and tibia bone characteristics in broilers exposed to heat stress. Table I.- Feed ingredients, proximate composition and calculated AME of the starter (1-21 day of age) and grower diets (22-42 day of age) for broilers. *Vitamin mineral premix (each kg contained): Ca, 195g; K, 70g; Na, 18g; Mg, 6g; Zn, 100mg; Fe, 2,000mg; Cu, 400mg; Mn, 1,200mg; Se, 8mg; Co, 20mg; I, 40mg; vitamin A, 200,000IU; vitamin D3, 80,000IU; vitamin E, 1072IU; vitamin K3, 34mg; Ascorbic acid, 1,300mg; Thiamine, 35mg; Riboflavin, 135mg; Niacin, 1,340mg; vitamin B6, 100mg; folic acid, 34mg; vitamin B12, 670µg; and biotin, 3,350µg. The experiment was carried out on two hundred and eighty (280) day-old broiler chicks (Cobb 500). The birds were randomly allotted to seven groups (five replicates). The groups were designated as T1, thermoneutral zone (TNZ); T2, heat stressed (HS) fed basal diet only; T3, HS + ZnSO4.H2O supplementation at the rate of 30 mg/kg feed; T4, HS + Zn at the rate of 60 mg/kg; T5, HS + probiotic supplementation at the rate of 0.1 g/kg; T6, HS + probiotic + Zn at the rate of 30 mg/kg; T7, HS+ Zn at the rate of 60 mg/kg + probiotic. From day 22 to 42 days, 26°C and 65 ±5 % relative humidity for T1 was maintained till the end of the experiment. While the HS birds were maintained at 35 ±1°C and 75 ±5% temperature and relative humidity, respectively from 9.00am to 5.00pm in addition to TN condition 16 h. The basal diet composition is presented in Table I. At the end of the experiment (day-42), three birds from each replicate were randomly selected and killed by cervical dislocation. Samples were separated from right superficial pectoral muscle and analyzed for the following parameters. The immediate (pHi) and ultimate pH (pHu) of right superficial pectoral muscle was measured by pH meter (portable meat pH meter HI 99163 Hanna, Italy) with conventional probe electrode through inserting 1cm deep into superficial pectoral muscle (Young et al., 2004). For ultimate pH (pHu), the piece of muscle was kept at 4°C for 24 h. After 24 h the pHu was conducted in the same manner as for pHi. For water holding capacity (WHC), approximately 25 g piece from left superficial muscle was selected, wrapped in non absorbable inflated bag, hanged in tightly packed bottle and then placed at 4°C for 24 h. After 24 h, the sample was weighed to calculate the WHC (Rasmussen and Andersson, 1996). Muscle histomorphometry was performed as described by the method of Bancroft et al. (2013). Samples were processed and sectioned (5µm) through semi automatic rotary microtome (AEM 450, AMOS scientific, Australia) and then stained with Hematoxylin & Eosin (H&E). The muscle fiber diameter was determined from cross section of H&E stained microscopic slides. Muscle fiber diameter was measured at 100x by Morphometry Program (Progress capture Pro 2.7.7. Labomed, USA). Five muscle fibers from three various fascicles of three non serial microscopic sections were selected and the average of fifteen were considered as fiber diameter. Similarly, the diameter of fascicle at 40x was measured (Saleem, 2012). Cross sectional area of muscle fiber was measured from diameter of muscle fiber using Area = πr2 formula, where, r is radius of circle. Muscle fiber number was counted at 40x and muscle fibers per unit area (muscle fibers/µm2) were calculated. The values obtained were expressed as mean ± SE. To compare means one-way ANOVA was used through statistical software (SPSS Inc., Version 20, Chicago IL, USA). The group differences were compared by Tukey’s post hock test. The effect of Zn and probiotic on muscle parameters have been shown in Table II. The pHi, pHu decreased (p < 0.05) and drip loss increased (p < 0.05) in HS group, when compared to TNZ group. The dietary supplementation of Zn and probiotic increased (p < 0.05) pHi and pHu while decreased (p < 0.05) drip loss. The muscle fiber diameter (MFD), muscle fiber cross sectional area (MFCSA), muscle fascicle diameter (MFSD) and muscle fascicle cross sectional area (MFSCSA) decreased (p < 0.05) in HS group when compared to TNZ group, whereas they increased (p < 0.05) in T3, T4 and T5 compared to HS group. Table II.- Effects of zinc sulphate and probiotic on different characteristics of superficial pectoral muscle of broilers reared under cyclic heat stress (mean ± SE). The values in rows with different superscript are significantly different at p< 0.05. pHi, initial pH; pHu, ultimate pH; MFD, muscle fiber diameter; MFCSA, muscle fiber cross sectional area; MFSD, muscle fascicle diameter; MFSCSA, muscle fascicle cross sectional area; MFN, muscle fiber number. T1, basal diet; T2, Heat stress; T3, basal diet + ZnSO4.H2O at the rate of 30 mg/kg feed); T4, basal diet + ZnSO4.H2O at the rate of 60 mg/kg feed); T5, basal diet + Protexin® @ 0.1 g/kg feed; T6, basal diet + ZnSO4.H2O at the rate of 30 mg/kg feed + Protexin® at the rate of 0.1 g/kg feed); T7, basal diet + ZnSO4.H2O at the rate of 60 mg/kg feed + Protexin® at the rate of 0.1 g/kg feed). Table III.- The effect of Zinc sulphate and probiotic on tibial characteristics of broilers reared under cyclic heat stress (mean ± SE). The values in rows with different superscript are significantly different at p < 0.05. For details of treatments, see Table II. The effect of Zn and probiotic on bone characteristics has been presented in Table III. Heat stress had no effect on parameters including weight, length, lateral wall thickness, robusticity index, and tibiotarsal index of tibia bone compared to TNZ group. However shaft diameter was found greater (P < 0.05) in T4 and T6 when compared to HS group. High ambient temperature causes oxidative stress in poultry and decreases poultry production (Chand et al., 2016). The results revealed that heat stress declined pHi, pHu and increased drip loss compared to TNZ group and were comparable with those of Wang et al. (2009). The decreased pH in the present study may be due to lactic acid production as a result of glycolysis. The lactic acid is produced due to release of adrenalin triggered by heat stress that accelerated the glycolysis rate (Sandercock et al., 2001). The higher drip loss in birds of HS group can be attributed to protein degeneration due to pH decline (Offer, 1991). The dietary supplementation of Zn and probiotic inclined the pHi and pHu while decreased the drip loss in the birds under heat stress. The results about pH and drip loss were also reported somewhere else (Liu et al., 2011; Aksu et al., 2005). The increased pH and decreased drip loss in Zn supplemented groups may be the consequences of improved meat quality as a result of decreased oxidative stress (Rouhalamini et al., 2014). Also the Zn deficiency occurs during heat stress that leads to increased lipid peroxidation but Zn supplementation inhibits the lipid peroxidation process (Naz et al., 2016). The higher pH with probiotic supplementation may be as a result of better nutrient absorption and feed utilization that enhanced muscle development. The developed muscle have greater muscle fiber diameter and cross sectional area also proved in our experiment that resulted in slow decline of pH (Kim et al., 2013). Increased pH and decreased drip loss with combined supplementation of Zn and probiotic may be attributed to their synergistic effect because Zn enhances the efficacy of probiotic (Mudronova et al., 2006; Shah et al., 2018). The MFD and MCSA in heat stressed group while, increased with Zn and probiotic supplementation. The increased muscle fiber diameter (MFD and cross sectional area (MFCSA with Zn supplementation may be due to many reasons including decreased oxidative stress (Prasad and Kucuk, 2002), antimicrobial activity of Zn (Sawai, 2003) and its role in digestive enzyme secretion (Naz et al., 2016). The higher MFD and MFCSA with probiotic supplementation can be linked with probiotic role as muscle growth promoter (Berri et al., 2007). Through best of our knowledge, we did not find any relevant data to compare and discuss our results regarding the above mentioned parameters through combined supplementation of Zn and probiotic. The muscle fascicle diameter (MFSD) and muscle fascicle cross sectional area (MFSCSA) decreased in heat stressed group but increased with dietary supplementation of zinc and probiotic. The increased muscle fascicle diameter and cross sectional area may be related to increased muscle fiber diameter and area as muscle fascicle is composed of muscle fibers (Seidman, 2015). Tibia bone is considered as very important weight bearing bone in growing broilers. It plays major role in musculoskeletal system of broiler chicken. In the present study Zn and probiotic supplementation either individually or in combination did not affect the parameters including weight, length, lateral wall thickness, medullary canal diameter, robusticity index and tibio-tarsal index in heat stress broilers. The present results regarding bone weight, length, lateral wall thickness, diaphysis diameter, and medullary canal diameter and tibiotarsal index were in agreement with (Sahraei et al., 2012; Vahdatpour et al., 2014). Sahraei et al. (2012) reported that different sources of Zn did not affect bone anatomy in broiler chicken. Similarly, Vahdatpour et al. (2014) reported that probiotic had no effect on the physical characteristics including the above mentioned parameters of Japanese quails exposed to heat stress. However, increased shaft diameter of tibia bone was observed in T4 and T6 group compared to the HS group in this study. The increased shaft diameter may be related to Zn supplementation due to its anti-stressor property. It decreases free radical formation due to synthesis of metallothionein that act as free radical scavenger (Naz et al., 2016). We can conclude that Zn and probiotic supplementation improved the muscle characteristics of broiler chicken under heat stress. However, bone physical parameters were neither affected by heat stress nor by dietary supplementation of Zn and probiotics. Bancroft, J.D., Floyd, A.D. and Suvarna, S.K., 2013. Bancroft’s theory and practice of histological techniques, 7th ed. Elsevier Health Sci, New York, USA. Chand, N., Naz, S., Zia ur Rehman and Khan, R.U., 2018. Blood biochemical profile of four fast-growing broiler strains under high ambient temperature. J. Korean Soc. appl. Biol. Chem., 61: 273-279. Kocabagli, N., 2001. The effect of dietary phytase supplementation at different levels on tibial bone characteristics and strength in broilers. Turk. J. Vet. Anim. Sci., 25: 797-802. Rasmussen, A. and Andersson, M., 1996. New method for determination of drip loss in pork muscles. Proceedings 42nd International Congress of Meat Science and Technology, pp. 286-289. Rouhalamini, S.M., Salarmoini, M. and Asadi-Karam, G., 2014. Effect of zinc sulfate and organic chromium supplementation on the performance, meat quality and immune response of Japanese quails under heat stress conditions. Poult. Sci. J., 2: 165-181. Sahraei, M., Janmmohamdi, H., Taghizadeh, A. and Cheraghi, S., 2012. Effect of different zinc sources on tibia bone morphology and ash content of broiler chickens. Adv. biol. Res., 6: 128-132. Saleem, M.U., 2012. 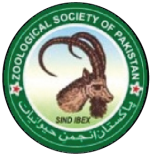 Relationship of gender and body condition score on histomorphometric and physical characteristics of selected skeletal muscle in Kundi buffalo. Thesis, Anatomy and Histology, UVAS, Lahore. Siegel, H.S., 1995. Stress, strains and resistance. Br. J. Poult. Sci., 36: 3-22. Vahdatpour, T., Ebrahimnezhad, Y. and Vahdatpour, S., 2014. Effects of dietary functional additives on characteristics and minerals of tibia bone and blood parameters of Japanese quails (Coturnix coturnix japonica). Int. J. Pl. Anim. environ. Sci., 4: 690-695. Zia ur Rahman, Chand, N. and Khan, R.U., 2017. The effect of vitamin E, L-carnitine and ginger on production traits, immune response and antioxidant status in two broiler strains exposed to chronic heat stress. Environ. Sci. Pollut. Res., 24: 26851-26857. 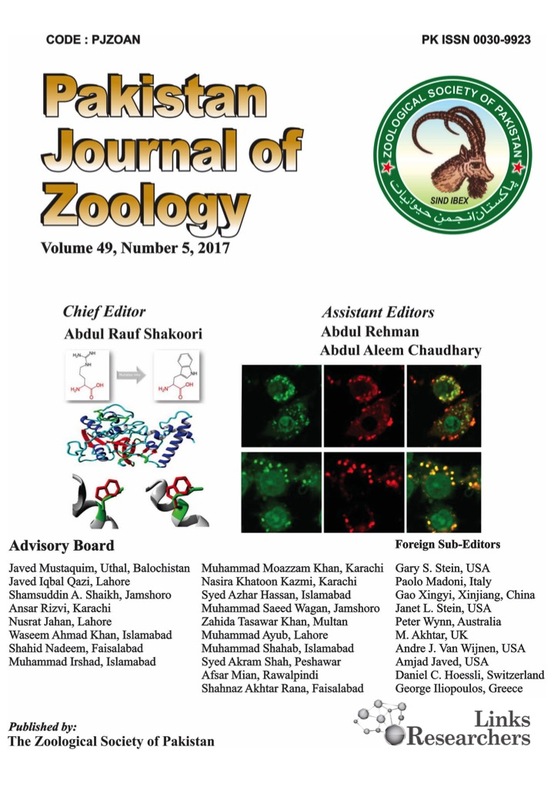 Zia ur Rehman, Chand, N., Khan, R.U., Khan, S. and Qureshi, M.S., 2018. An assessment of the growth and profitability potential of meat-type broiler strains under high ambient temperature. Pakistan J. Zool., 50: 429-432.